**Note: Want to know what the best cable modem is and whether you should buy or rent your modem without reading through all the research and details? Jump down to the Conclusion section! 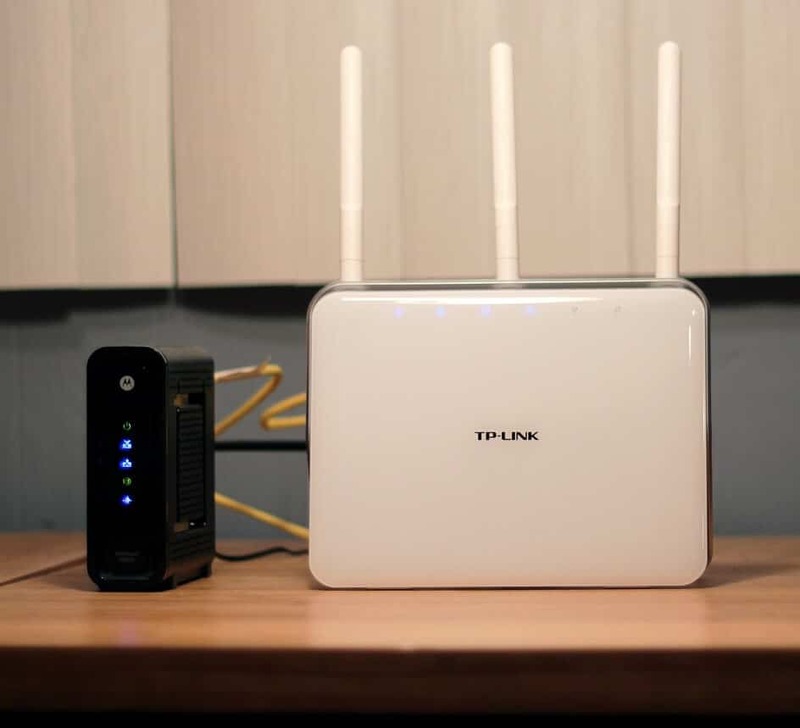 In order to have the ability to connect to the Internet, you first need an Internet Service Provider (ISP) and a modem. A coaxial cable plugs into the back of your modem, the modem performs some magic and before you know it, you’re connected to the wonderful Internet. This isn’t a process that many of us think about. Why? Well, first of all, people don’t really care what’s going on as long as they’re connected to the Internet and secondly, the ISP comes in, installs everything and takes care of all the work, and you have nothing to worry about. However, if you don’t know much about modems or how everything is set up, you are most likely renting a modem from your ISP. How do you know? Well your monthly bill from your ISP will most likely have a small charge on there each month for “Modem Rental”. This can vary between various Internet Providers, but it usually costs somewhere around $5-10 a month to rent your modem. You should buy your own cable modem instead of renting. You could start saving money in as little as 6 months after buying your own modem. **Note: This post contains Amazon affiliate links. To learn more about this and what commission I might make, please check out my Disclosure Policy. Thank you! Why should you buy your own cable modem? If you buy your own cable modem, it’s your property now and doesn’t belong to the ISP. Also, even if you own this modem for 2 years and don’t need it anymore or want to upgrade, why not sell it? The modems you can buy yourself today support crazy fast speeds. It won’t be outdated in 2 years unlike the rental modems, and you can earn some of your initial money back. It’s simple. Say you are currently paying $10/month to rent a modem. Considering you can buy one of the best modems out there (ARRIS / Motorola SurfBoard SB6121 Modem ) for $70, after 7 months you would start saving money and would save $170 in 2 years. Not bad. Usually (not all the time), your Internet company rents out a modem that is bare bones. It will normally only support the speeds that you’re paying for (if that) and that’s it. If your speeds ever increased, you would have to swap out your modem with another rental modem that supports faster speeds or you would have to buy your own modem anyway. Also, rental modems tend to be cheap and unreliable which usually leads to randomly dropped signals in your Internet, periods of time when the Internet just seems to be crawling, etc. (although those issues could also be caused by your router). How do I know which cable modem to buy? Cable modems use a common standard called Data Over Cable Service Interface Specification (DOCSIS). You may see “DOCSIS” followed by a number in the title when looking for modems. The DOCSIS version of the modem helps play into what max speeds that modem can achieve. If you have an older modem (DOCSIS 2.0), you can greatly increase your Internet speeds by upgrading to a new one with DOCSIS 3.0 which is the current industry standard of DOCSIS. So with that being said, how do you know which modem to buy? Fortunately, most Internet Service Providers have a page on their website which tells you information about supported modems. For example, Comcast has a page called the DOCSIS Device Information Center which has a list of Comcast compatible modems that work on their network. All you have to do is choose which speed tier you’re on, and the list will update with all the modems that will support those speeds and their network. Is your ISP not listed? Just go on Google and search [Your Internet Provider] supported modems and you should find some pages to help point you in the right direction. Since this post is focused on modems, I’m going to mainly talk about recommended modems. If you check out the links in the previous section which show the supported modems for various Internet Providers, two modems that constantly pop up are the ARRIS / Motorola SurfBoard SB6121 Modem and the ARRIS / Motorola SurfBoard SB6141 Modem . The Motorola SB6141 is shown in the first picture of this post (up at the top), and the Motorola SB6121 is pictured below. These are both DOCSIS 3.0 certified as I mentioned earlier. The Motorola SB6121 supports download speeds up to 172 Mbps and upload speeds up to 131 Mbps. The SB6141 supports even faster download speeds up to 343 Mbps and the same upload speeds up to 131 Mbps as the SB6121. I strongly recommend either of these modems! I’ve setup and used both (in different environments) for several months now. My Internet is running faster than ever, it hasn’t dropped out since I installed it (it used to drop out 1-2 times a week with my rental modem), and I own the modem which is the best part. Besides, with a combined 13,000 customer reviews with an average rating of 4.5 out of 5 stars between the two modems on Amazon, they obviously are two of the best cable modems out there right now. Don’t want either of those modems? Go ahead and search for other cable modems on Amazon . Or, if you’re searching for a router, you can see routers on Amazon . Also, this TP-LINK TL-WR841N Wireless N300 Home Router is rated 4.4 stars out of 5 with over 5,000 customer reviews which is insanely good considering it’s only around $19 if you need a router to pair with your modem. YOU SHOULD BUY YOUR OWN CABLE MODEM! You’re just throwing money away if you don’t, especially if you’re on a multi-year plan with your Internet Service Provider. If you buy a $70 cable modem and are paying $10/month currently to rent a modem from your ISP, you’ll start saving money after 7 months of owning it. Also, owning your own cable modem has some major advantages. It’s yours, you will save money over time, and you will usually get much faster speeds and reliability with a new, good modem. It has proved to work extremely well in 2 separate environments for me, and I’m so glad I finally bought my own. I personally recommend either the ARRIS / Motorola SurfBoard SB6121 Modem or the ARRIS / Motorola SurfBoard SB6141 Modem because of their outstanding reviews and because I’ve used both of them for several months now with nothing but positive results. If you’re looking for a router to pair with either of those modems, I would recommend one of the TP-LINK Archer routers or the TP-LINK TL-WR841N Wireless N300 Home Router due to its very good reviews and extremely cheap price (around $19). Hopefully this helps point you in the right direction if you’re debating about buying vs. renting your cable modem or what the best cable modem is. Check your Internet Provider’s site for compatible modems, and then you’re off! Do you rent or buy your cable modem currently? Let me know in the comments, and what benefits you gained if you purchased your own cable modem. Thanks Luis! I’m glad you found it helpful! Would it be silly to purchase SB6183 or SB6190 if my internet speed plan is 75 mbps? Currently the price difference from the SB6190 isn’t stark enough to scare me away from it. I currently have the Motorola SurfBoard SB6121 Modem, but will it suffice for a internet speed of 75 mbps? The Motorola SurfBoard SB6121 modem can support download speeds up to 172 Mbps. So yes, it should suffice just fine for your Internet speed of 75 Mbps! Nice article, but I have a question. Is SB6183 good for 1 Gbps? Hi there Mike! Based on what I’m finding online, the SB6183 is rated for download speeds up to 686 Mbps and upload speeds of 131 Mbps. If you have gigabit Internet, it looks like the SB6190 supports download speeds up to 1.4 Gbps and upload speeds of 262 Mbps which is double that of the SB6183! So, if you’re looking for a good router for 1 Gbps, the SB6190 would be good.